Marigold is not having a good morning. Her day only gets worse when she realizes it's the most important day of the week in first grade. It's show-and-tell day, and she forgot. Oh how she wishes she was someone else. 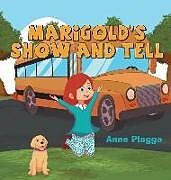 Then Marigold remembers something extra special about herself. She shares something very special about herself and inspires her classmates to learn about themselves. Marigold is so glad she is Marigold Kaye Parker.